In the biggest The Learning Escape project to date, Woolwich Polytechnic Secondary School has developed a two-storey eco-building to accommodate their growing intake of students. They tell us how the building has inspired a connection with nature and has given their school a brand new look, even on a tight budget. Shown in this video is the first of 3 phases of construction, now complete, which provides space for over 600 pupils. Why did you want to develop an outdoor learning space? We needed to create more space at Woolwich Polytechnic for our new post-16 provision. We had to find a way to develop more learning space, quite rapidly, for the growing intake and to accommodate our art department that has received ‘outstanding’ status. We wanted to find a way to create an outdoor building that was flexible, sustainable and different. We didn’t want to build something bland or temporary; we wanted it to be innovative and unique to our school. What made The Learning Escape stand out from other providers? The current financial climate is an issue for many schools and we had been saving from our school budget over the last two years. 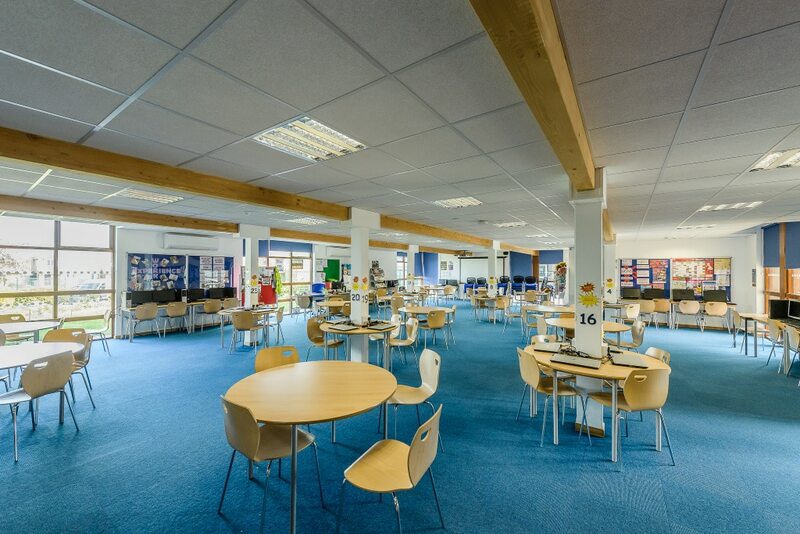 We were working on a very tight budget, but The Learning Escape was able to offer us a building that was bespoke, fully met our requirements and, most importantly, was cost- effective. They helped us create an separate learning space that is far from ordinary. The Learning Escape is passionate about designing eco-buildings that benefit schools, pupils, staff and the environment. What are the biggest benefits you have noticed for the children and your school? 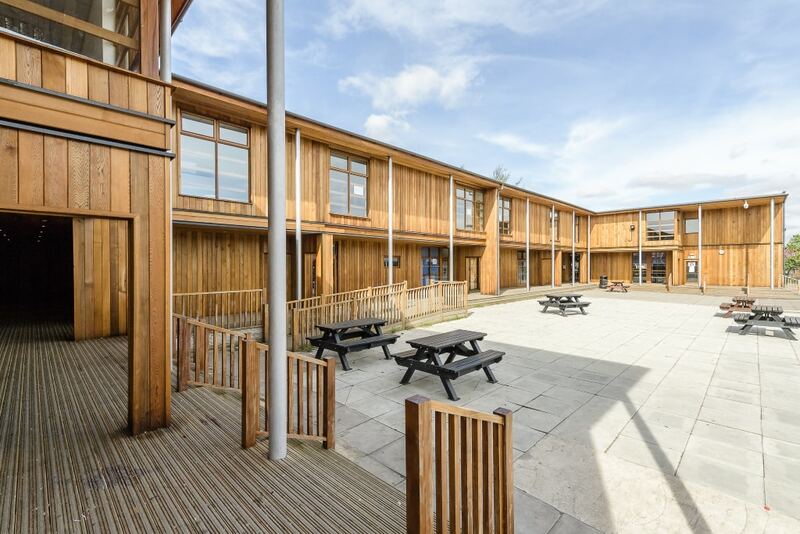 Our two-storey eco-building contains classrooms and 6th form provision with the space for an extra 600 students. It has helped our pupils form a new connection with their natural surroundings. Choosing to place the art department within the new building was a very good decision. When the pupils are working on their latest project they are able to use the natural inspiration around them. We now have a solid link between our school and the environment making it easy to flow between the outdoors and indoors. Being surrounded by these natural eco-friendly materials, the pupils are beginning to understand how and why they should be looking after them; Environmental Citizenship has become an essential part of the curriculum. How did you find working with The Learning Escape overall? They were enthusiastic from the very start and comfortable taking the lead with the whole project. The boys loved being a part of the design process; The Learning Escape team encouraged them to showcase their ideas and used some of them for the final plans. "The team at The Learning Escape showed us that a tight budget doesn’t mean that you can’t create a fantastic building. It’s clear that they have years of experience delivering a full service, we didn’t even need to worry about the paperwork."